This 48 year-old machine was purchased as a functional vehicle, and still is as far as the Kealls are concerned; the couple, now in their 60s, camped in the Dormobile as recently as February this year. 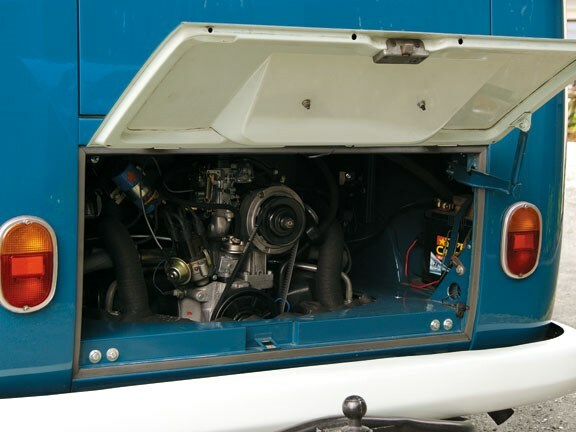 Robert recently swapped the Kombi's 1.6-litre powerplant (itself an upgrade from the original 1.2-litre) for a 1.8-litre unit to better keep pace with open-road traffic. 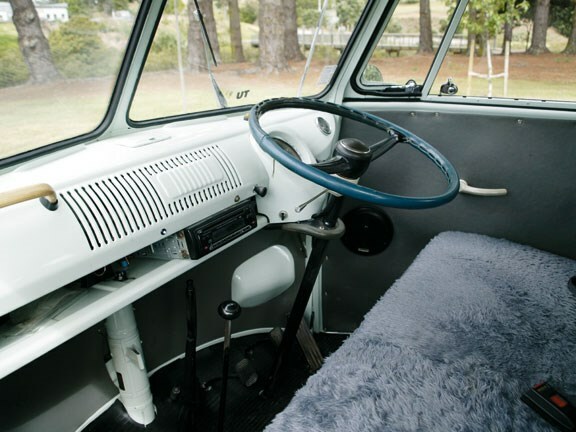 Living and working in London in the 1960s, the Kombi was integral to the Kealls' overseas experience. A camper conversion carried out by Kent company Martin Walter, the vehicle was the key to adventure in Europe for the couple. "For three years I worked in London and we lived above the pharmacy," recalls Robert. "You walked down the stairs to work in the morning, then back up the stairs to go home in the evening. You're always very close. 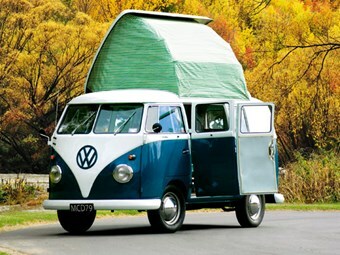 So in the holiday times – even just half-days and weekends – we toured in the Kombi extensively. One year we took a six-week holiday, the next we made it three months." Robert was not necessarily a Kombi enthusiast. The VW was simply the sensible choice: "The brand had a very good name in Europe. In 1966 we actually did several trips to the Continent and we knew parts for the Kombi were readily available and it could be widely serviced. It was a just good choice." The features that attracted Robert and Marion back then are still intact and fully functional four decades later. Minor patches of rust have been repaired and the engine(s) upgraded, while the vehicle has been repainted just twice. The cabin is all-original, save running repairs like new foam for the chairs (although the seat springs were carried over). The living area chairs can be swivelled, folded and laid flat to form two single beds, or repositioned to make a double. There are another two hammock-style beds in the pop-up roof, accessed via a network of tiny steps – the final one being the kitchen bench. There's a gas cooker, a sink with water pump and even a wardrobe – all in this tiny vehicle, which for many years time accommodated Robert, Marion and three children on long Kiwi tours. Even by 2011 standards, it's all pretty neat and really well-packaged. A little touch of technology as well: drive away with the top still raised and there's a warning light in the dashboard. 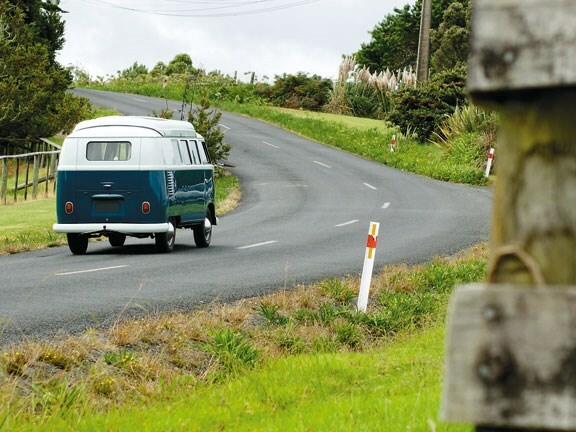 Much of the Kombi's 250,000km-odd have been clocked up on New Zealand roads. The Kealls shipped the vehicle back home after three years in Europe and it has travelled our country tip-to-tail – more than once. "It was always a utility vehicle as far as we were concerned," says Robert. 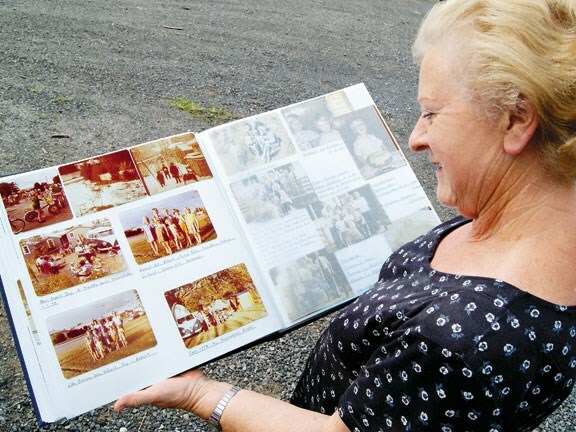 "We started a family and had three children – they've all been tearing around in the Kombi all their lives. It was ideal in that we could travel long distances, stop in a layby whenever we wanted for a cup of tea, and so on." For many years the VW was the one and only family vehicle. It was joined briefly by a Beetle, then in later years as the children became teenagers, the Kealls moved into more mainstream automotive fare like a Ford Falcon. But always, the Kombi continued to serve as holiday transport and tour vehicle for the family. So yes, Robert and Marion have a lot of affection for their Kombi and are gracious in dealing with requests from magazines like ours. But no, they don't have a whole lot a lot of time for the classic-car scene. The Kombi is simply a car that's served them well and in return they've taken good care of it. "We're careful people," says Robert. "As a pharmacist you learn to be like that – very careful in everything you do, triple-checking everything. "But no, I don't treat the car as a classic. I'm too busy for that – I run a seven-day business, I've got a farm property here, I've got a boat and I've got 10 grandchildren..."